Robert Howard loves the big stage. He wants to wrestle in front of a crowd in high stakes matches. Which means he's going to fit right in at Penn State. The two-time Cadet world team member announced his verbal to the Nittany Lions today. One of the most highly coveted prospects in the nation regardless of grade, Robbie Howard is going to Happy Valley after high school. "Penn State is the place I can do what I want and have the career that someone like me should have," Howard told us. "I have high standards, and Penn State has high standards. If I'm held to those standards by the coaching staff, I can win as many as national championships as possible." Howard's commitment means PSU has their long term answer at 133 pounds. 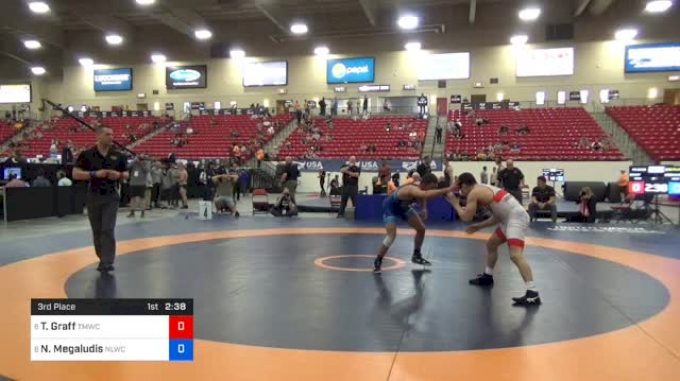 A path was cleared for that to happen when Adam Busiello decommitted to head to Arizona State, which is remarkable given that Busiello beat Howard in the 2016 Super 32 finals. In Howard's mind, the path he sees is for him to redshirt and then take over during the 2021-22 season. That would be Roman Bravo-Young's senior year and allow RBY to bump up to 141 after Nick Lee graduates. We have him rated as the #1 prospect at 133 pounds in all four classes. Everyone's held back now, I didn't get held back," Howard said. "Everyone redshirts, if I don't redshirt that'd put me like 2-3 years behind the curve. So I think the plan right now would be for me to redshirt, just based on lineup and getting a year of college wrestling under my belt before I step up. Entering his junior season at #2 Bergen Catholic, he holds a 69-4 career record. The third overall recruit on the 2020 Big Board, he finished 33-3 and was runner-up his freshman year at 113 pounds, while going 36-1 last year before winning the 120lb state title in single class New Jersey. A semifinal win over Antonio Mininno this past season in the semifinals avenged his 4-3 loss to Mininno in the previous year's finals. In the 2017 state finals, Howard lost in tiebreakers on a locked hands call. That set up a revenge opportunity this past March, but it was a match that Mininno had circled, as well. There was an article that came out that had Howard feeling very confident going into the match, but it still turned out to be one of the most exciting matches of the year. "Honestly, I don't think he could've wrestled a more perfect match against me," Howard said. "But that was probably one of the more fun matches I've wrestled, just because of the whole hype around it. So I would say that freshman year wasn't ideal to lose in the finals, but it made it that much better for my sophomore year." It's not unprecedented, but notable that Howard made a world team before winning a state title. It is primarily his performances at the past two UWW Cadet Trials that have helped put him in position to be the nation's top ranked wrestled at 126 pounds. 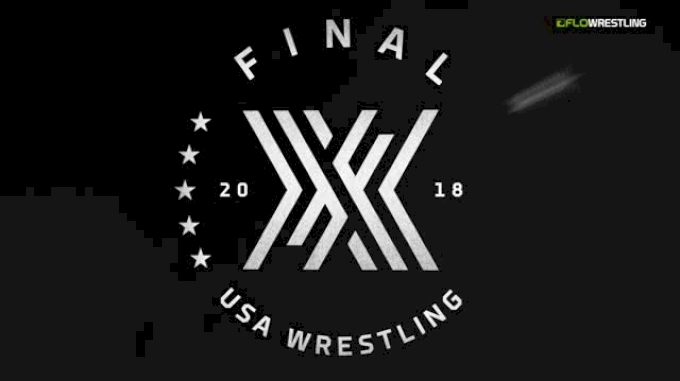 Before going to Akron last year, he had to explain to his father Kelly that this tournament was to make a world team and Howard himself was unaware just how tough it would be. In only his third ever freestyle tournament, a match against one of his future teammates was a seminal point in Howard's career. After a tight match against Kyle Gollhofer of Georgia, Howard had a 9-8 barnburner with a stud from Iowa named Brody Teske. "In the Teske match was the moment where my whole wrestling career changed. 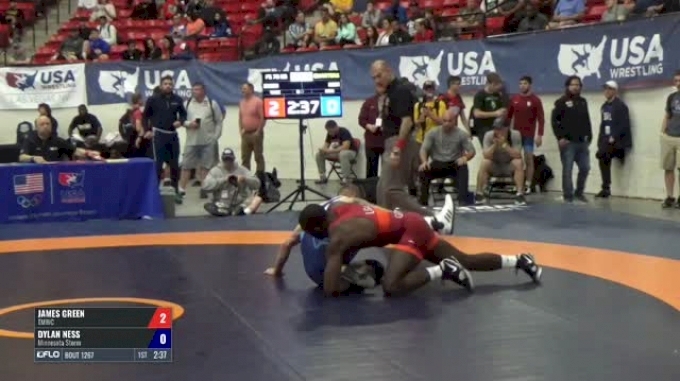 When I had a decision to blow the match, or go get a takedown and be on the world team. 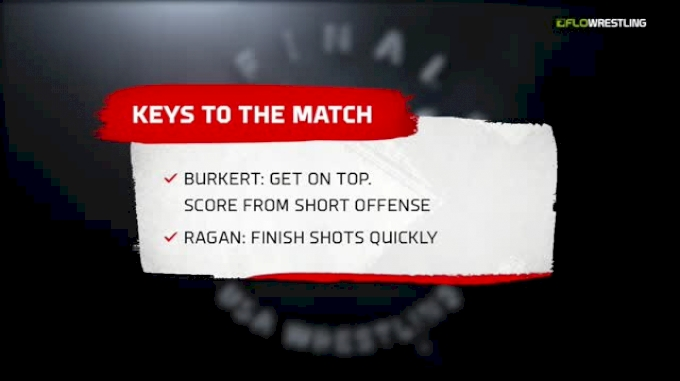 With nine seconds to go, I wasn't nervous, I knew I was gonna score. I wasn't afraid of getting stuck somewhere, I knew I was gonna score and I did." Going into Akron this year, Howard felt his 55kg weight class was going to be the toughest of the tournament. He felt he had to prove that it was once again his spot after making the team last year. He said both his coach Rich Bitetto and his father were nervous before the finals against Julian Tagg, but Howard had to calm them down. It is that calmness that played a big part in his decision to attend Penn State. Getting into the recruiting, it ultimately came down to three schools, each of which he visited in the last month: Penn State, Michigan, and Iowa. After having Sean Bormet in 2017 and Kellen Russell this past year as coaches at Cadet worlds, he knew Michigan would be a major part of the process for him. That was only compounded by the fact that Kurt McHenry, one of his best friends, had already committed there. It was appealing to Howard to start off the lineup with someone he had trained with for years, but ultimately did not end up happening. Given the Hawkeyes track record of success at the lightweights, Iowa City was always going to be an appealing option for the 16-year-old from Cranford, NJ. He took an official visit Thanksgiving weekend, taking in Carver-Hawkeye Arena for their dual against Purdue. Like much of Iowa's recruiting, the conversations with Howard were led by assistant coach Ryan Morningstar, though of course the family spent extensive time with head coach Tom Brands on the visit. He even made sure to snap a picture with his mom next to the Gable statue. Once the time came though, the choice was Penn State. Howard is making his commitment just a few days after a home visit from Cael Sanderson. His camp felt very strongly that PSU's coaching style would mesh well with how Robbie currently trains and prepares himself for matches. Howard is aware of the success Iowa has had under coach Brands, which only made the commitment more difficult. It wasn't so much a matter of good or bad when it came to the coaches recruiting him, but rather which staff he felt was better for him. I wasn't gonna make the decision based solely on workout partners. It was gonna be a combination of a lot of things. Penn State has a better coaching staff, Iowa's got a better track record of lightweights, so something's gotta give. After winning a Youth Olympic Games gold medal in October, Howard enters this season looking for another state title. 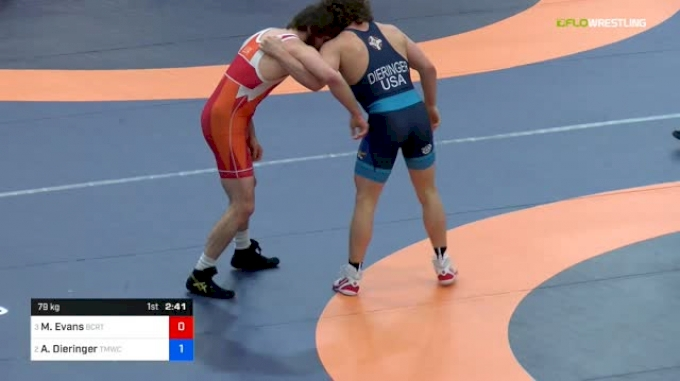 After that, he'll finish off his Cadet eligibility by trying to make a third world team, and is also old to compete in the Junior Open in April. As the #1 ranked wrestler now heading to Penn State, all eyes will be on him. At this point, Penn State feels a little like the Yankees: a dynasty with a massive fan base, but also a team some people vehemently root against due to their dominance. Part of that appeals to Howard, who has made no bones about the fact he prefers to wear the black hat. "I'm gonna turn into a villain real quick. And I'm gonna be on the team that everyone hates."